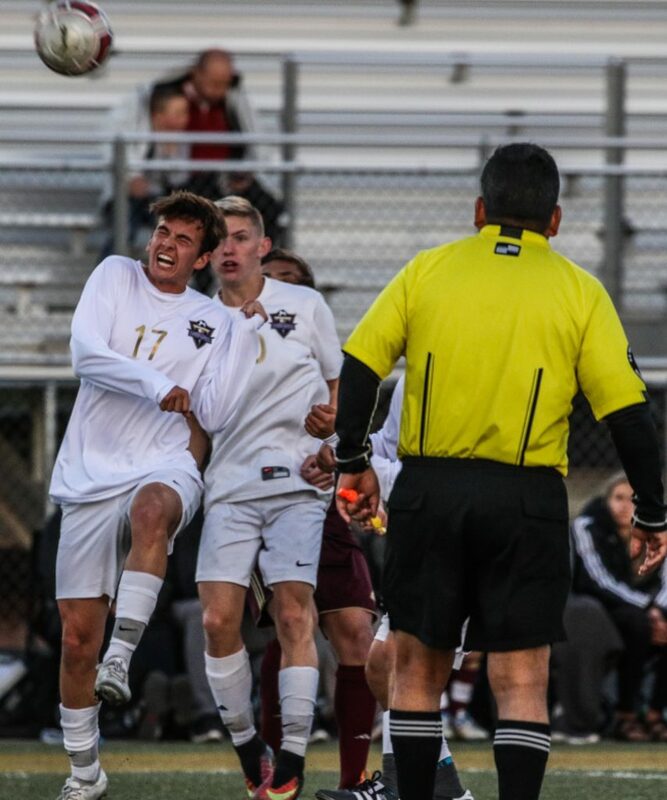 ST. GEORGE – The final day of the regular season in boys soccer had plenty of drama. Snow Canyon needed a victory to clinch the Region 9 title outright. Dixie was hoping for a share of the title, or at the very least, a No. 2 seed and a home playoff game. 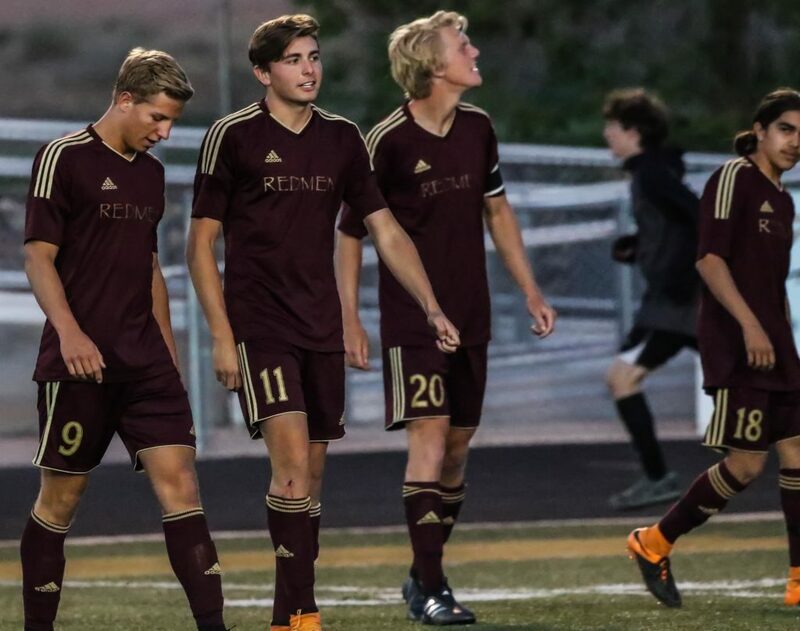 And Desert Hills had to win to have a shot at a high seed headed into next week’s playoffs. 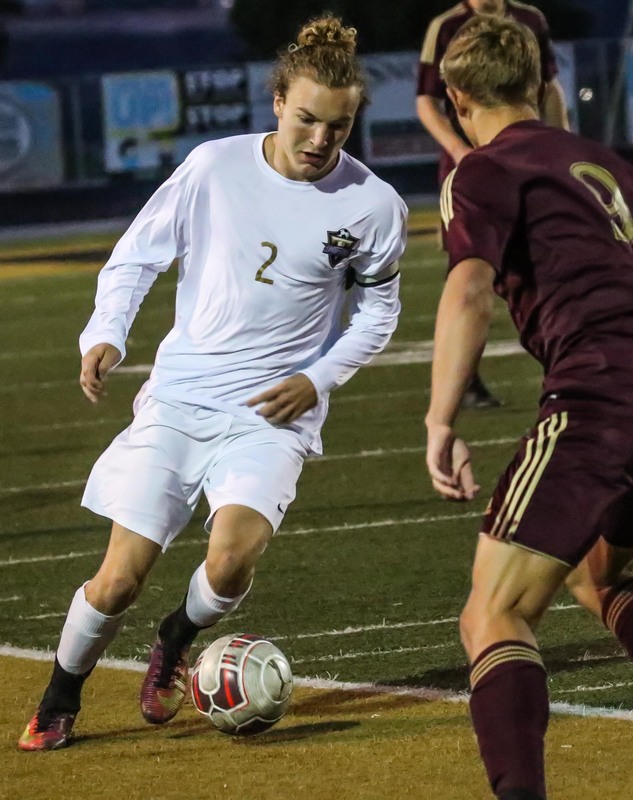 All those things came to fruition Friday night, with the Warriors grabbing their ring, the Flyers grabbing a home playoff game and the Thunder grabbing a little momentum heading into the 3A playoffs. The Thunder weren’t going to catch SC for the league title, but a No. 2 seed was up for grabs against the unpredictable Redmen. 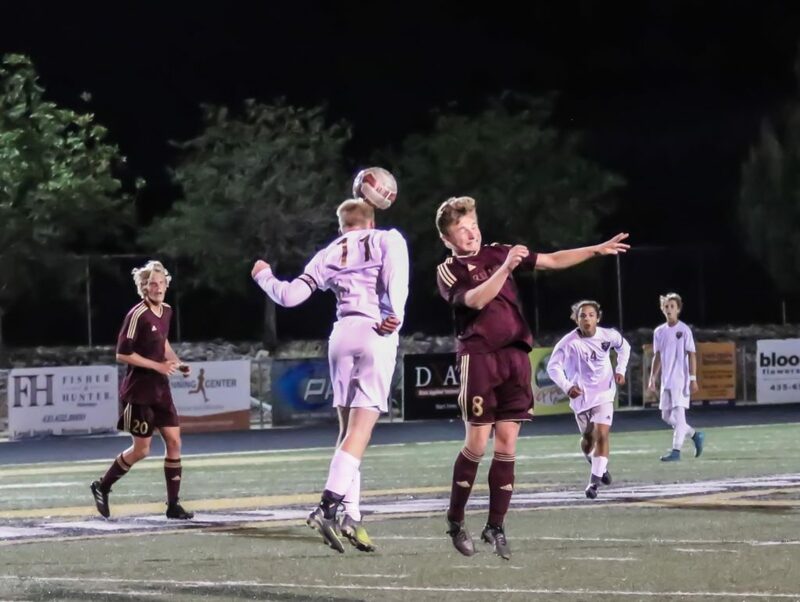 And though Dixie held on to take that second seed, Desert Hills came out strong in the second half by scoring both of its goals to take down Cedar 2-1. 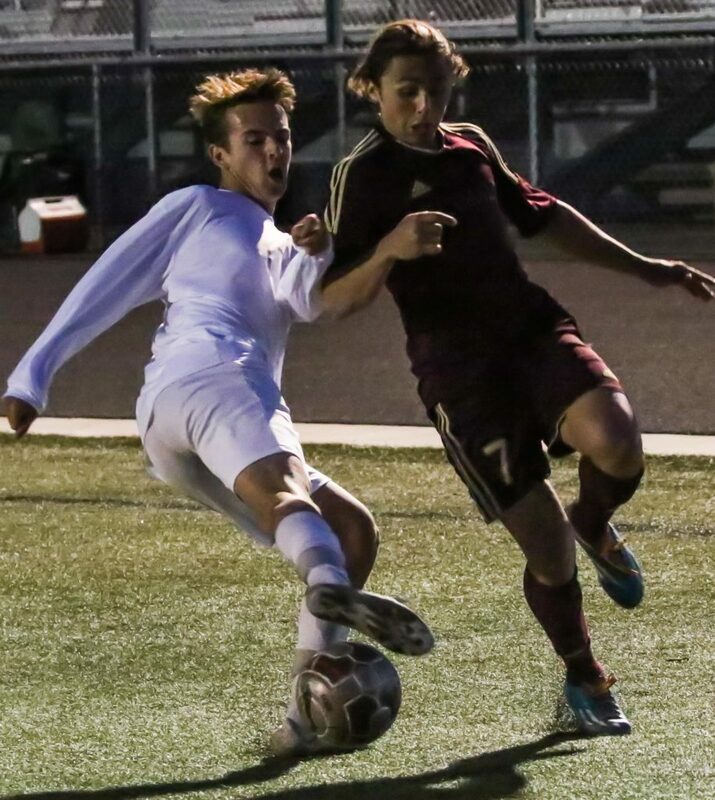 Cedar’s Jaden Carver started the scoring early, but DH’s Kelton Holt scored two goals of his own to get the win. Thunder head coach Benji Nelson wasn’t impressed with the first half. Cedar head coach Scott Kamachi was disappointed because Cedar has had plenty of close losses like this one. “Unfortunately, that’s a typical game for us,” Kamachi said. “We play really well for a half. We have the lead, then we lose the lead and end up losing the game. That’s happened a few times for us this year. We just gotta be able to play a full game and finish the game off. Unfortunately, tonight, we just made a couple of little mistakes and they ended up in goals. The Redmen led 1-0 at the half, but Nelson wasn’t ready to let his team give up there. 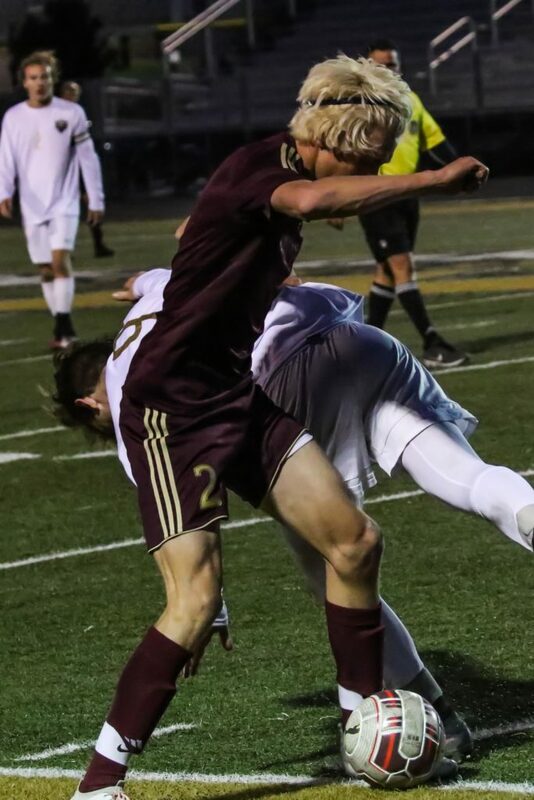 DH keeper Isaiah Hacker thought the game was too close for comfort, but was content with the win. Even with the loss, Cedar is going to the playoffs, because Dixie knocked off Pine View. 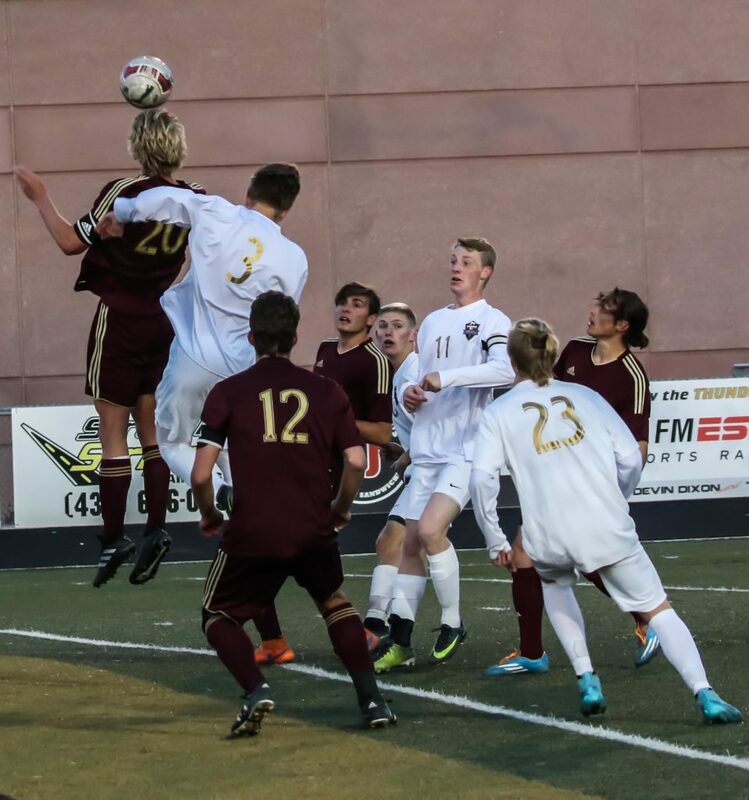 Desert Hills took third and will travel to Juan Diego. Kickoff is at 4 p.m. Thursday. 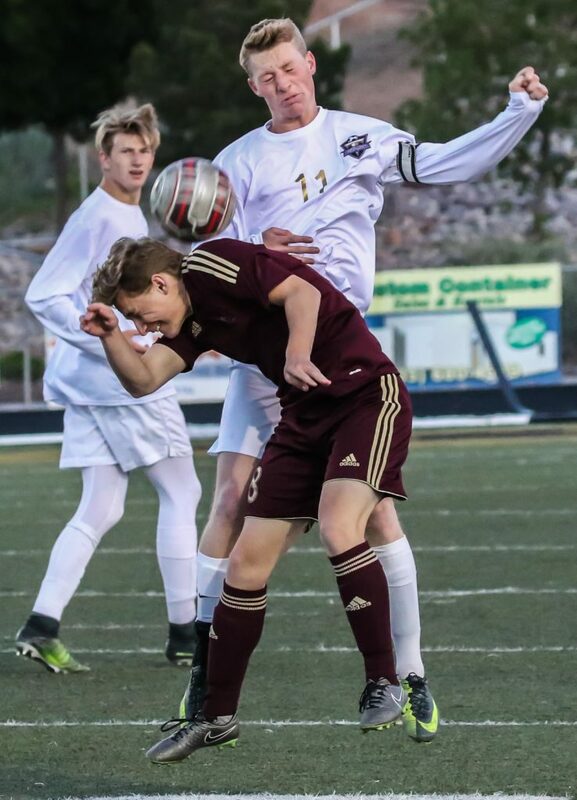 Cedar will travel to Ridgeline Thursday. The game is scheduled to kickoff at 4 p.m.
Dixie eliminated Pine View from playoffs by getting the 1-0 win. 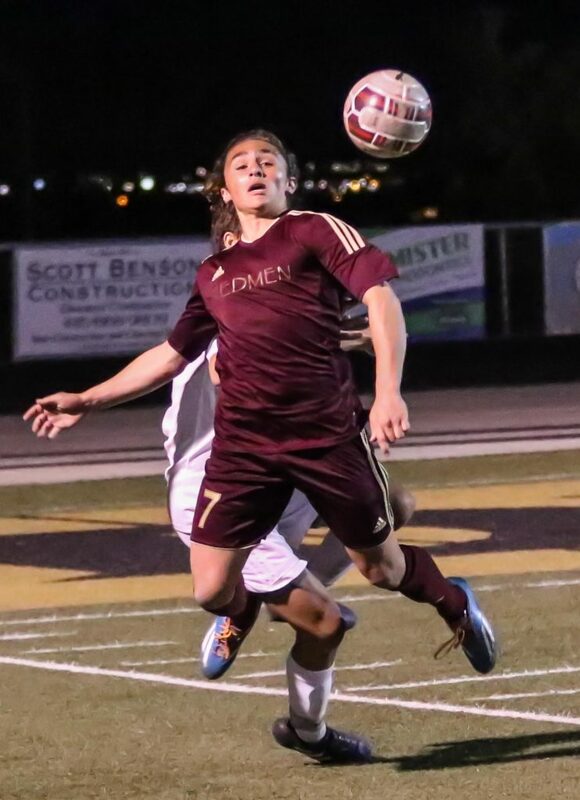 The game was tied at halftime, but Dixie’s Sergio Diaz scored the game winner to end Pine View’s playoff hopes. Bridger Wright recorded the shutout, his fourth complete shutout of the season. Dixie will continue its hopes for a state championship with a home match against Logan. Dixie beat Logan 5-2 earlier in the season. The first-round playoff match will start at 4 p.m. Thursday. Snow Canyon clinched the region title outright by beating the Tigers at HHS. 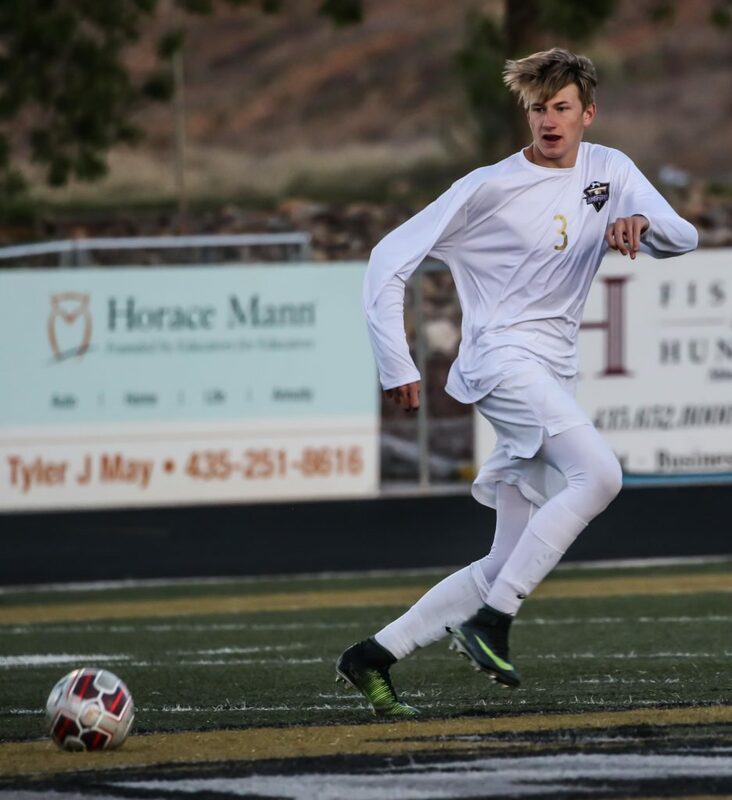 Dillon Hargis scored two goals for the Warriors, while Alex Tholen scored another and an own goal from Hurricane put Snow Canyon at four goals. Jeff Bjarnson scored for Hurricane. 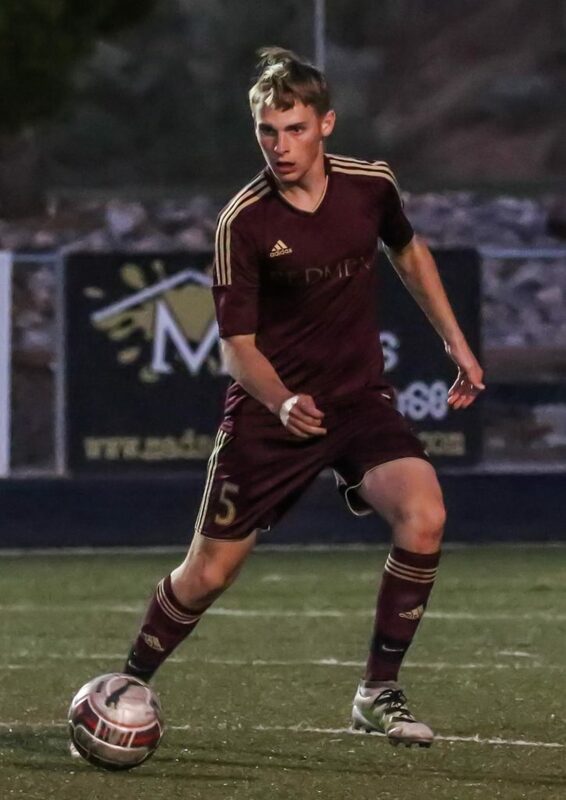 SC’s keeper, Quinn Hargis, signed with Salt Lake Community College earlier Friday and will now look to take a state championship with him. 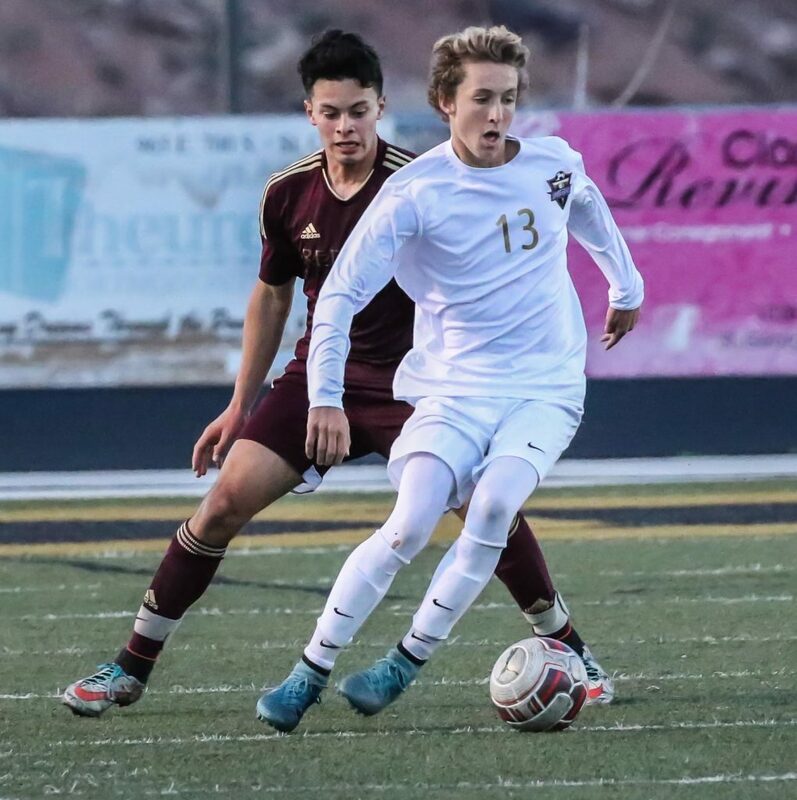 Snow Canyon will play its first-round playoff match, a home game, against Ben Lomond Thursday at 4 p.m.